As one of the renowned aftermarket suppliers, First Line Ltd is a specialist when it comes to the field of steering & suspension components, which is one of the reasons why its products are held in such high regard by workshops across the country. Alongside premium quality products, this specialism brings with it a wealth of technical knowledge that can prove invaluable to technicians undertaking service and repair work, this advice concerning top strut mounts being a great example. First however, a little history. When it comes to suspension systems, 1950 is a notable date, as it’s the year everything changed. Previously, the most common configuration was the double wishbone system, but with the launch of the British-built Ford Consul in 1950 came the first mass produced vehicle to feature MacPherson strut suspension, a development that was so successful that now, 68 years on, almost 80% of European vehicles still use this design. The MacPherson suspension created a link between directional movement of the wheels and the suspension, which required the use of a top strut mount onto the body of the vehicle to absorb vibrations and a bearing to facilitate the movement when the driver operates the steering. This configuration delivered a new level of comfort for the occupants and improved driving dynamics, as well as increased vehicle safety. Since their introduction, top strut mounts and bearings have naturally gone through significant transformation from ‘generation 0’, featuring a simple steel bearing in a steel beading, to the current ‘generation 2.5’ solution, which uses a steel bearing with integral upper spring and shock absorber support, made from sophisticated, premium quality plastic composites. In common with all steering & suspension components, top strut mounts and bearings are susceptible to wear and tear due to harsh road conditions and adverse weather, which is why, to follow best practice, it is advisable to replace them every 50,000 miles or whenever the shock absorber or coil spring is changed. Worn suspension components can increase braking distance by 15% and vibration by as much as 25%, as well as making the vehicle much less responsive. Naturally, as with any suspension work, these components should be replaced in pairs, so the vehicle’s opposite side should be changed too. 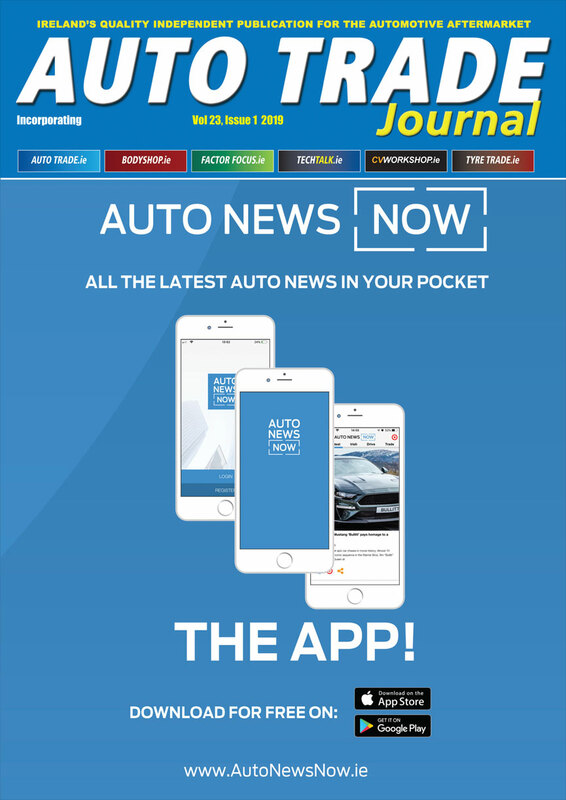 This is a prudent policy not only because it is more economical than owners making two visits to the workshop, more importantly it avoids inequality in the vehicle’s steering geometry. Common causes of top strut mount failure include corrosion from water, sand and salt ingress; fractures as a result of poor road surfaces or accident damage; and false brinelling (localised surface corrosion) caused by micro-vibrations during vehicle movement. All these failures can result in increased noise – clunking, knocking, grinding or creaking – particularly at low speeds when moving the steering from lock to lock on poor road surfaces, as well as increased torque on the steering wheel, making spotting the failure relatively straightforward. In addition, a faulty top strut mount or bearing can have a big effect on the rest of the vehicle’s suspension components and will increase the chance of their subsequent failure. On some vehicles however, it can be the case that the top strut mount fails prematurely at low mileage and there are several instances, particularly with a number of Fiat applications including the Fiorino/Qubo (and their Citroën Nemo/Peugeot Bipper/Bipper Tepee cousins), Doblo, Grande Punto and Ducato, where this is the case. Some of these failures are linked to poor design or specification and have forced the original equipment (OE) manufacturers to re-design and upgrade them due to water and grit penetrating the bearing, causing rust and corrosion and leading to seizure. Another common cause of water ingress comes as a result of jet washing under the wheel arches, where water can get into the bearings, which again can lead to failure. Freezing conditions will also be a problem if there is water penetration, as this will also cause damage to the bearings. For absolute peace of mind for both workshops and their customers, First Line top strut mounts, bearings and top strut mount kits are naturally made from top quality components to OE specifications and undergo stringent examination, as well as detailed application referencing, by the company’s highly qualified product team. 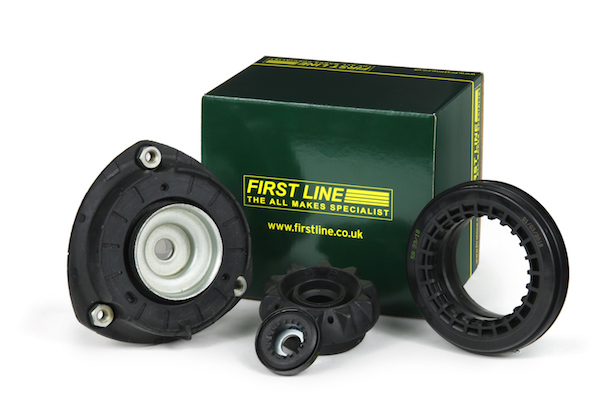 Recent additions to First Line’s comprehensive range of more than 500-part numbers, covering 94% of top 100 UK most popular vehicles, include the front strut mounting kit L/R for the SMART FORTWO ‘07 onwards (First Line part number) FSM5494, front top strut bearing L/R for the KIA SPORTAGE ‘10 onwards (FSM5487) and the front top strut mount L/R for VAG A3, Q2 ‘12 onwards (FSM5485).